Rubber and lubricants need to come into contact with each other in many applications. But there are often problems with what is known as rubber "ageing": a deterioration of the properties of the rubber due to interactions between the rubber and the grease or base oils involved. Rubber and lubricants need to come into contact with each other in many applications. But there are often problems with what is known as rubber "ageing": a deterioration of the properties of the rubber due to interactions between the rubber and the grease/base oils involved. This is a much studied phenomenon but generally the studies don't look deeply enough into why the two components are incompatible. A new study undertaken by Nynas investigated the possibility of measuring shrinking and swelling of the rubber, due to migration of the oil between the one and the other, as a relatively simple test for compatibility between rubber and lubricant. The study focused on alterations in the mechanical and low-temperature properties of rubber during its contact with a number of greases and their base oils. However, in the process we made an interesting and important discovery: it's not just the oil, but also other ingredients that migrate. These influence various mechanical properties and hence the discovery has important implications when trying to optimize rubber/grease interactions. Somebody might make a great formulation for grease. Then somebody else might make a great formulation for rubber. However, when that great grease comes into contact with that great rubber, far too often the rubber is destroyed in no time. Many studies have dealt with that issue, but we have found that they haven't gone far enough in understanding the underlying causes of grease/rubber incompatibility. A series of tests was carried out to compare the compatibility of base oils and greases with rubber during ageing. For this purpose four different base oils were used, all having a viscosity of 150 mm2/s at 40°C. Three naphthenic oils of varying solvency and one paraffinic oil were compared. The reason for using both the grease and the base oils was to determine whether it is necessary to use grease in rubber compatibility tests or if it suffices to conduct the tests with the oil alone in order to obtain conclusive results. To test the interactions the rubber samples were totally immersed in the base oils and greases. Ageing was performed at three different temperatures, 80°C, 100°C and 120°C, and the test duration was one week. Changes in hardness and weight of each of the rubber samples were measured over the period of the study. Hardness measurements were carried out using the IRHD method and the results recorded using the IRHD scale which runs from 0 to 100, where 0 corresponds to extremely soft rubber. Common rubber types have IRHD values of 30 to 85 degrees. Tensile strength and elongation were also measured. Tensile strength is the force required to stretch the rubber to rupture divided by the cross-sectional area of the test piece. The results are expressed in MPa. Elongation is the measure of the rubber's ability to stretch without breaking, measured as per cent of the original length. For the rubber samples that were aged in base oils at 100°C, measurements of the glass transition temperature, Tg, were also made. All polymers will eventually stiffen to a rigid (and fragile) amorphous glass state when the temperature is decreased to a level known as the polymer glass transition temperature. For rubber, this temperature indicates the low temperature service limit. The results showed that, under identical conditions, chloroprene rubber (CR) swelled more than nitrile-butadiene rubber (NBR) rubber (Figures 1 and 2). In fact, the NBR rubber demonstrated shrinkage in most cases. Oils with higher solvent power, e.g. naphthenic oils with high aromatic content, bring about more swelling for the CR rubber, but less shrinkage for the NBR rubber, than do oils with lower solvent power, e.g. low-aromatic paraffinic oils. Thus, the paraffinic oil caused minimum swelling in the case of CR rubber, but maximum shrinkage in the case of NBR rubber. This is quite logical when considering the likeness of the solvency properties of the oils and the rubbers. In general, the closer the solvency of the oil to that of rubber, the higher the amount of oil that can be entrapped by rubber. If solvency is expressed through Hildebrand solubility parameter values, chloroprene rubber and naphthenic oils are found to be suited much closer to each other than the nitrile-butadiene rubber and naphthenic oils, and the solvency mismatch further increases on changing from naphthenic to paraffinic oils. Looking at the hardness and tensile strength measurements, the following trend becomes obvious: swelling is always associated with certain losses in hardness and in tensile strength (Figures 3 and 4). Furthermore, our experiments have shown that a prolonged contact with greases and base oils also significantly affects the glass transition temperature (Tg) of rubber. From the user perspective, Tg of rubber is an important parameter that determines the lowest temperature below which rubber cannot be used as it loses its elasticity. The presence of plasticizer is known to depress the glass transition temperature Tg (the same way as the presence of a solute would normally depress the freezing point of solutions). Therefore, an increase in Tg of rubbers aged in the base oil and greases indicates redistribution of plasticizer between the rubber and the oil phases: oil migrates into the rubber and the plasticizers originally present in the rubber migrate out. So how can this be prevented? One suggested way to deal with it was to level out the concentration differences by adding the corresponding rubber plasticizers, such as dioctyladipate, to the grease formulations. 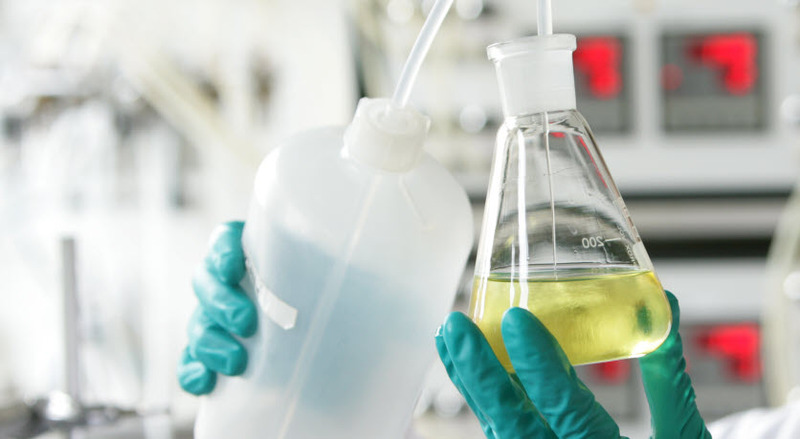 Other alternatives were to use a more polar plasticizer, such as alkylated aryl phosphate, or partial replacement of dioctyladipate by naphthenic oil in rubber formulations. These possibilities were checked out but none proved totally successful. Substituting a part of the polar plasticizer (DOA) in rubber with a naphthenic oil gives a small increase in the glass transition temperature (Tg) initially but has little effect on the outcome of rubber ageing tests; and rubbers plasticized with naphthenic oils and with esters degrade similarly. Conversely, adding DOA to base oil or grease formulations has been shown to enhance the low-temperature properties of rubber (by depressing Tg) but has an adverse effect on the mechanical properties such as hardness, strength and seal compatibility index. The corresponding experimental data can be seen in the Figures 5–8. 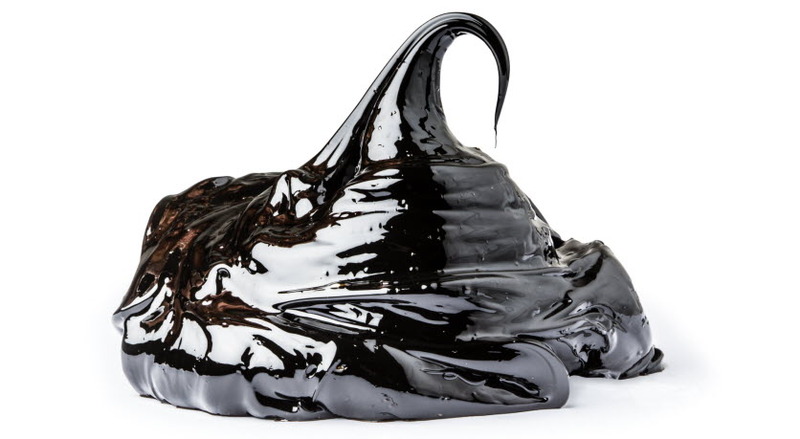 The results of the tests suggest conclusively that the interactions between grease and rubber are largely determined by the properties of the base oil used in the grease formulation. Good rubber compatibility of base oils guarantees good rubber compatibility of greases produced thereof. Our results show that, when trying to optimize the interactions between rubber and the base oil/grease, there is no simple answer, and the rubber type, the plasticizer, and the base oil/grease composition are all variables that need to be considered. The migration of plasticizers is an important finding and it should always be taken into consideration. In the majority of tests, the well refined naphthenic oils and greases produced thereof demonstrated good rubber compatibility, comparable to or even exceeding that of other analogous products availble on the market.